The bedroom is the most used and peaceful place in a person’s house, and each one of us spends half of our time daily in our bedroom. 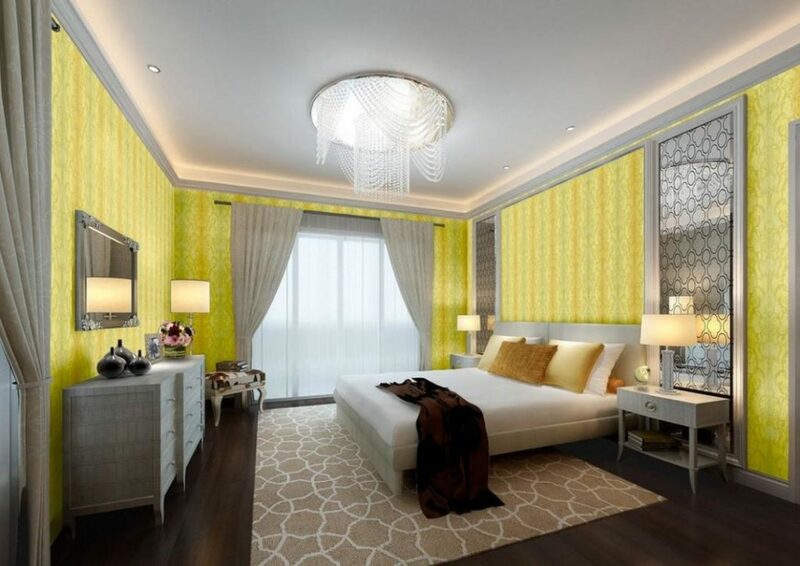 When we think about decorating your bedroom, the first and foremost thing that we believe in is about the management of the room’s furniture according to the structure of the room. 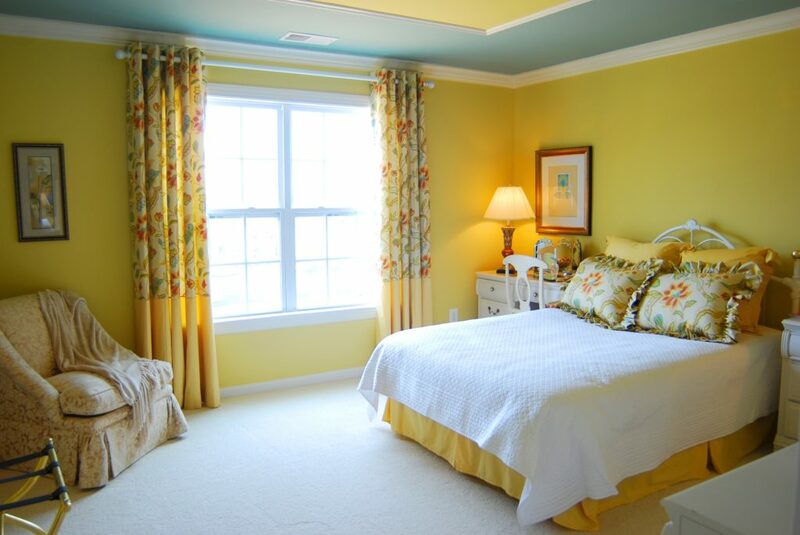 Once you have entered the bedroom the first thing that captures one’s sight is the bed sheet that has been set on the bed so the bed sheet must go with the paint of the room. 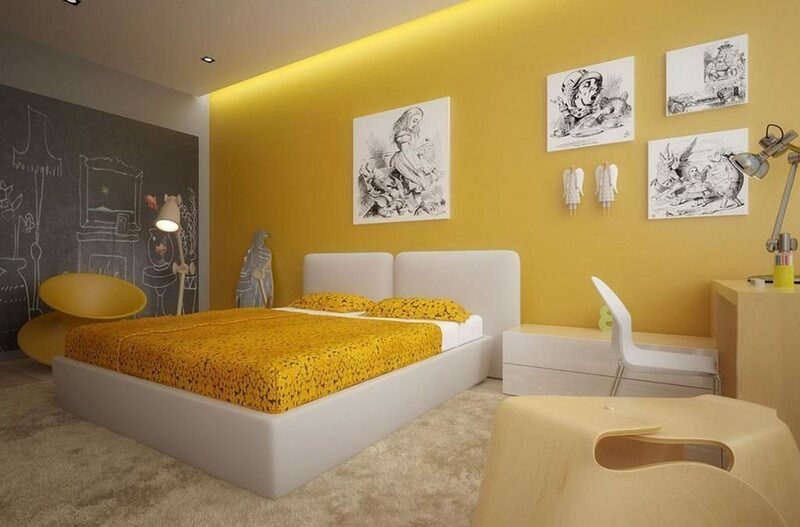 When you go for a yellow theme for your bedroom, then remember that you should not only focus on yellow color but the contrasting colors like gray, black, off white, light green, light blue, etc. One of the walls must be painted yellow, and the other one in white or off white can suit perfectly well with the entire room. Wall hangings must also be in contrast colors like black or blue so that it will give out to be a fascinating look at the wall and bring viewer’s focus to it. Curtains should be in contrast to with a little touch of yellow in them. 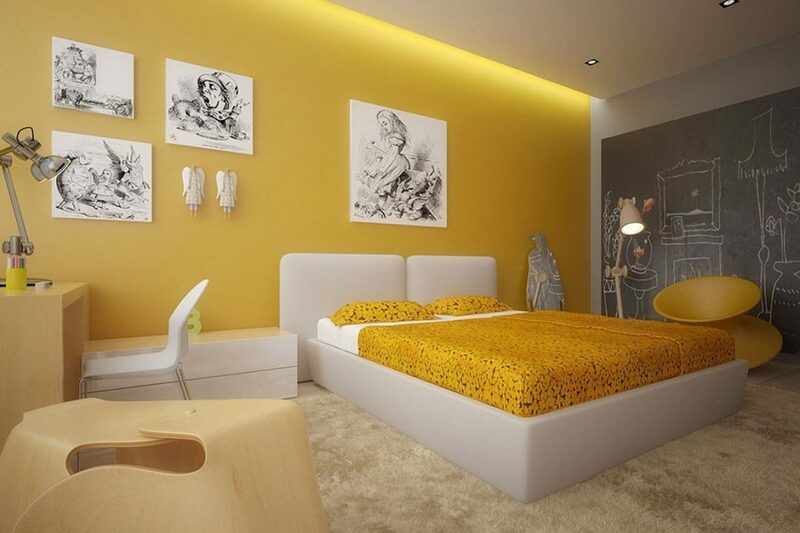 On side tables of the bedroom, you can put beautiful yellow colored lamps with white bulbs in it. 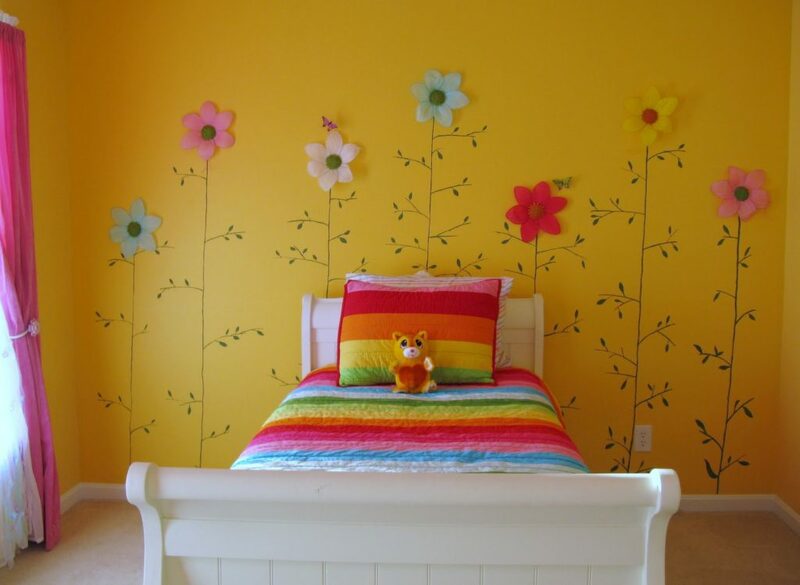 You can hang a basket too if you on the wall and put yellow flowers in it that can provide you with merriment. If you are a book lover and have space in your room, then you can have a little book rack or shelf of white and yellow color combination in your room too. 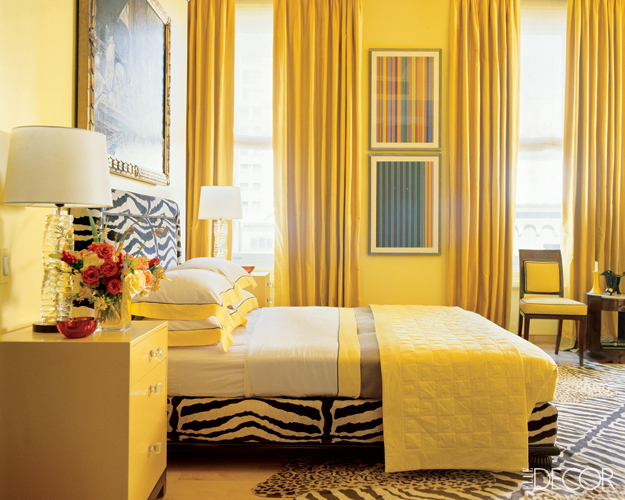 You can have a yellow rug in your room too so that the room looks bright and lively and you will never get bored in your room for a moment and you will feel fresh and will wake up with a touch of nature. So now time to off but I promise I will update it for you after getting more suggestion. Connect with me on Facebook 🙂 and exchange ideas.